So you are in Berlin for the first time and you had an amazing first day. You visited some of Berlin’s iconic sights and soaked in some of the History. Well, guess what, it will only get better with my selected tips on things to do in Berlin. I propose a second day away from the touristy areas. 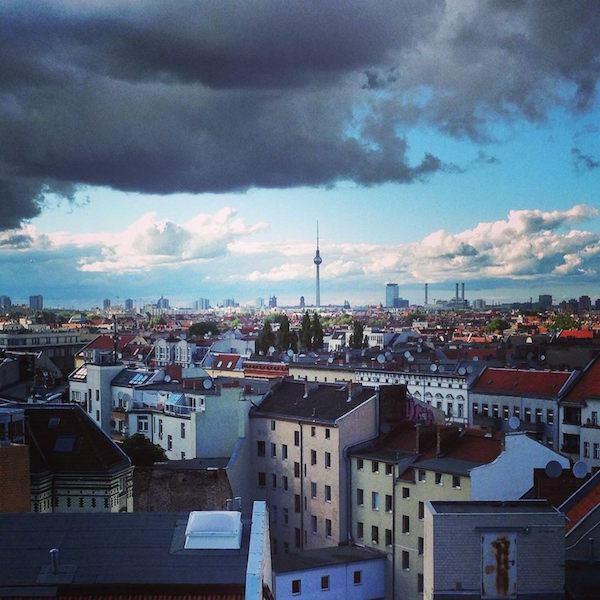 Maybe spend a day “like a local” and explore one of Berlin’s many atmospheric boroughs. Do not worry, you will still be in close contact with Berlin’s History and soul. But you will get an understanding how locals live and enjoy themselves. 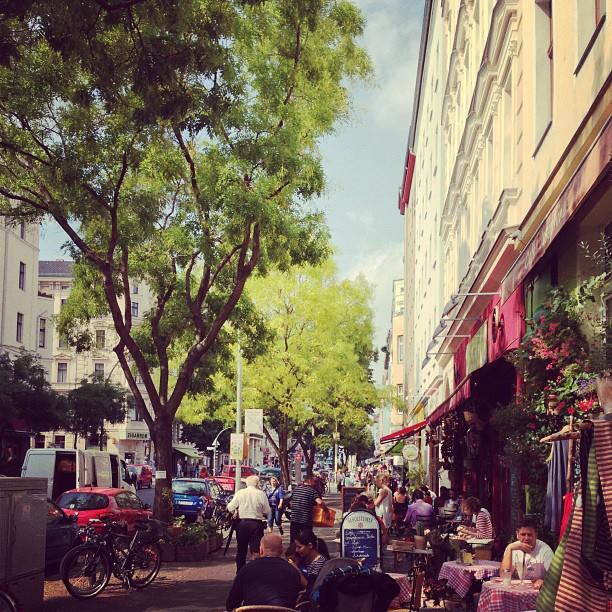 Explore Prenzlauer Berg, one of Berlin’s prettiest neighborhoods. 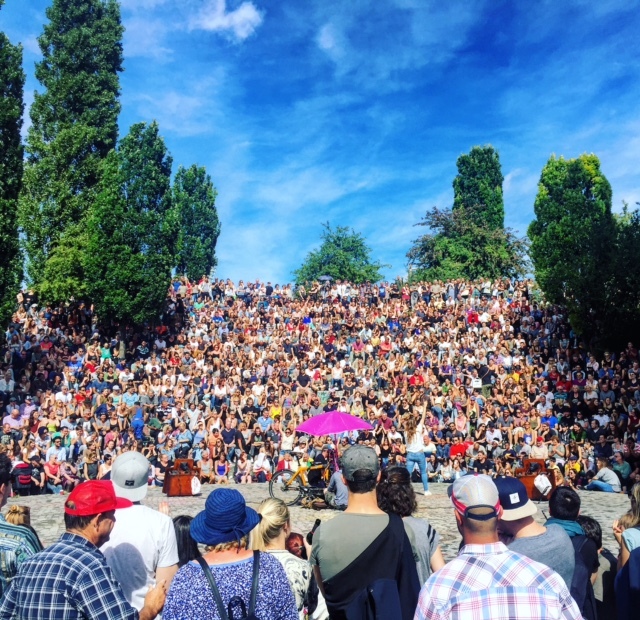 Do not miss Mauerpark experience on Sundays! It will change your life! That’s our “East Side” tip. Duration: Half day to full day. Enjoy strolling around Bergmannkiez, its small local shops and the stunning architecture. This itinerary can be combined with the interesting and fun discovery of Tempelhof Area (an abandoned airport turned into park and community gardens). That’s our “West Side” tip. Duration: Half day to Full day. Have a “Wings of Desire” experience and find out the best spots to watch Berlin life from above. Duration: Full day and more if you try to hit most spots at once. 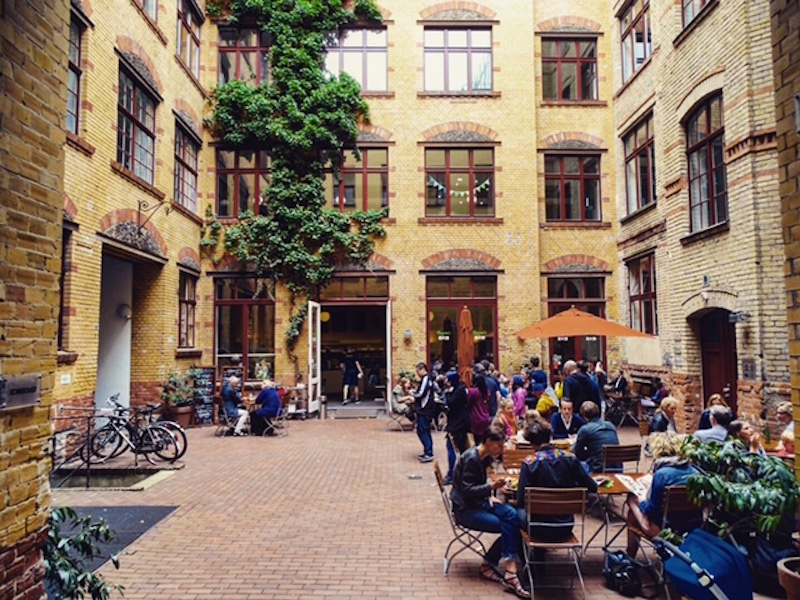 Spend the day getting into the amazing Berlin Inner Courtyards. Between you and I, I am addicted to Berlin’s courtyards and this is my favorite thing to do in the city. Duration: Half day to full day. I suggest picking one of two of the itineraries above to exploe on your second day. There are so MANY things to do in Berlin. Trust me, you will want to come back to explore the other ones. 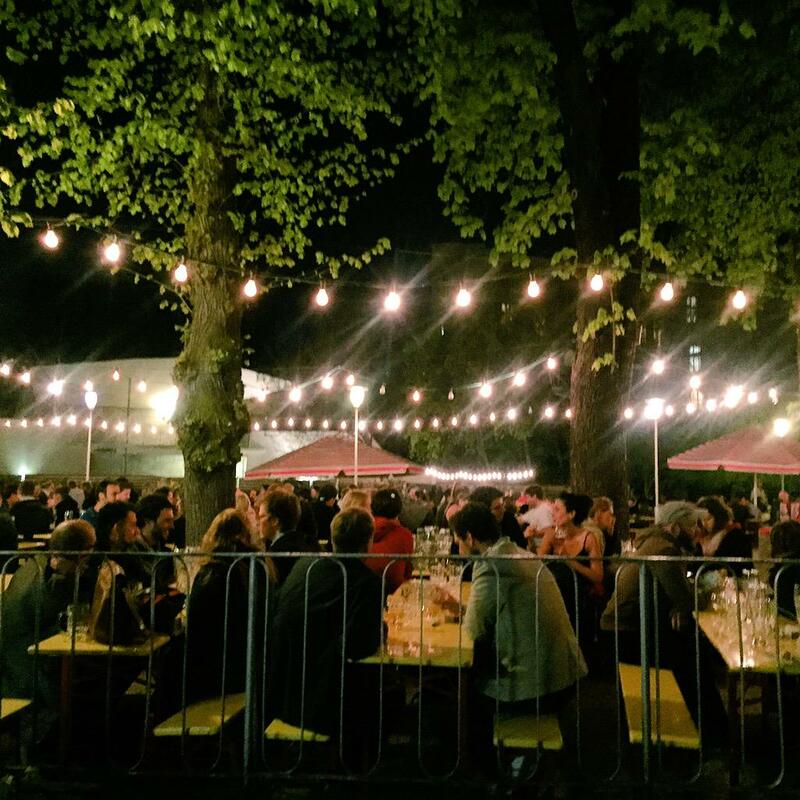 End the day at StrandBar Mitte, Yaam Beach (for the edgier crowd) or at one of Berlin’s amazing Biergärten! If you’d like to go back or visit another one of Berlin’s amazing museums, check out a list of our favorite Museums to explore! Go for dinner at one of our favorite RESTAURANTS. After dinner, get a cocktail or craft beer in one of our favorite BARS. If you feel like going out into the night, check out our Agenda and our NIGHTLIFE tips! To keep it short and fun, I decided to break this article down. Make sure to read the following articles to complete your fun itinerary of things to do on your first visit to Berlin! Leaving Berlin without diving into its amazing Art scene would be a shame, so enjoy a couple of our favorite art spaces. We recommend art openings and parties all the time in our AGENDA.